Like a lot of folks these days, especially parents of young children like me, I have superhero fatigue. The relentless onslaught of Marvel and DC movies over the past ten years has often made it feel like I never go to the theater except to see costumed vigilantes saving the day. Add in the steady supply of (mostly very good) Batman games from WB, and by 2018 I am feeling just a bit exhausted on the genre. And so, when Sony announced an all-new Spider-Man game for the PS4, my initial reaction was less enthusiastic than some. That it was being developed by top-tier studio Insomniac Games is really the only thing that kept me interested at all, because if anyone could pull off a truly great Spider-Man game, it was them. Their Ratchet and Clank series has the kind of game-DNA that would translate well to Spidey’s universe in a lot of ways, but did Insomniac really pull this off? Yes, yes they did. One of the biggest risks Insomniac took with Spider-Man was their choice of villain. Instead of starting us off with mainstays like the Green Goblin or Doctor Octopus, our first threat to the safety of New York is Wilson Fisk, better known as Daredevil’s primary adversary. Stepping in to fill the power vacuum that Fisk’s capture creates is Mister Negative, a victim of experimental drug trials that caused a sort of psychotic personality split. Soon enough, Mister Negative and his Demons move into Fisk’s old territories, and it’s up to Spidey to stop them. I’m not going to delve too much into the plot, simply because so much of it was a pleasant surprise to me, even early on, and I wouldn’t want to rob anyone of that same experience. Simply put, Insomniac has created an overarching tale that is, in turns or sometimes all at once, epic, intimate, joyful, and heartbreaking. Also, there are bagels. 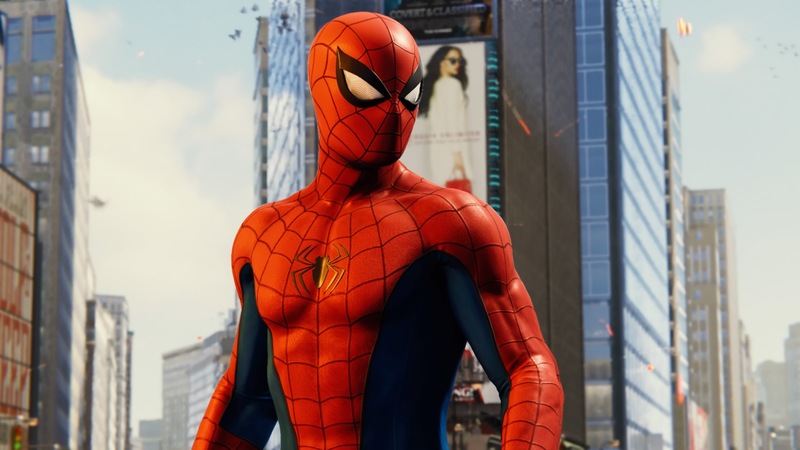 One of the biggest challenges in creating a good Spider-Man game or movie is finding the right balance between Spider-Man, a wise-cracking, cocky teen seemingly overflowing with confidence, and Peter Parker, an everyday kid struggling with depressing real-life issues like trouble paying the rent, romantic complications, and being an orphan. Creating a cohesive experience from these diametrically-opposed personas is tough, and even master directors like Sam Raimi have failed to nail it at times. This game, however, may give us the best, and most complete, portrait of Spider-Man/Peter Parker to date. Much of the game’s story, and even several missions, revolve around Peter’s daily life: his work with Dr. Octavius, his romantic entanglements with Mary Jane Watson, and his relationship with his surrogate mother, Aunt May. In taking the time to establish the character of Peter Parker, we get a better understanding of Spider-Man’s persona and motivations, and with that comes a better appreciation of the character we spend most of our time as, slinging around New York City. SPINS A WEB, ANY SIZE! Web-slinging around town in Spider-Man isn’t just your primary means of locomotion, it is one of the most impressive traversal mechanics ever seen in games. Perfectly fluid and dynamic, easy to grasp but difficult to truly master, Spider-Man’s web-slinging capabilities are truly a work of art, making getting from mission to mission just as fun as the actual missions themselves, if not more. In addition to the traditional swinging mechanics seen in most games/movies, Insomniac also gives players the ability to point-launch from objects, essentially using your webs to pull you directly to a ledge or perch and then use a well-timed jump to launch forward like a missile. Special aerial moves let you strut your stuff while you zip around, too. You can also use the zip move to keep momentum in a straight line to help bridge big gaps between buildings/perches, and the true web junkies will quickly learn the joy of one-handed swings, which allow you to fly through the lower streets of Manhattan in the fastest, most stylish way possible. Learning to combine all these moves, in addition to the various wall running, dive bombing and other mechanics at your disposal, offers a freedom of movement unlike anything I’ve ever experienced. After 40 hours in game and 96% completion, I still find myself grinning like an idiot at the pure joy of it all, and having already realized that this is a game I’ll boot up every few months just to spin some webs and scale some buildings. When you’re not busy hurtling at breakneck speed through the various districts of Manhattan, you’re usually pummeling bad guys into submission for one reason or another. I’ve seen many people comparing the combat in Spider-Man to the rhythm-heavy system in the Arkham games, but while there is a heavy focus on Spidey’s ability to dodge and counter, this system runs much deeper, requires more variety, and is ultimately more rewarding. In addition to the usual gravity-defying punches and kicks, you’ll find yourself incorporating your webs in combat frequently, either through specially-built gadgets like Impact Webs, Trip Mines and Web Bombs, using webs to throw environmental objects at attackers, or just straight up gluing them to a wall to incapacitate them. Throughout combat, Spider-Man builds up Focus, which he can use to either instantly heal injuries or, more spectacularly (ahem), unleash devastating finishing moves that instantly put baddies down for the count. Much like the traversal, the seemingly endless variety of the combat is what makes it so special, because the locations in which you fight play such a significant role in how you fight, that no two encounters ever really feel the same. The tactics involved in fighting on the ground vary drastically from when fighting on rooftops or even just in midair. You can use swing kicks to knock people off buildings, web strikes to launch attacks from the air to the ground, web up a baddie and then throw him into his own allies like a wrecking ball. The various suits you unlock through the course of the game often come with their own special abilities as well, like being able to electrocute anyone you hit, summon a “Spider-Bro” to assist you, emanate negative energy, and so on. The possibilities aren’t endless, but it often feels like they are. WEALTH AND FAME, HE IGNORES – ACTION IS HIS REWARD! Whenever you’re not partaking in a main mission, you’ll find plenty to do throughout New York, as Insomniac has stuffed the game with myriad side quests, photo ops, radio towers, petty crimes, missing backpacks, research projects and more, each designed to encourage you to explore the city in new and different ways, and reward you with various tokens that can be used to upgrade gear and buy new suits. But even if there were no in-game reward, I still would have found myself motivated to complete all these minor objectives, despite not usually being a completionist, because they are so organically woven into the game, the story, and the character of Spider-Man that Insomniac has created. In creating a believable, complex Peter Parker with a genuine attachment to his city, they’ve also created a feeling that you’re actually helping the people of Manhattan, especially when you’re slinging through a park or neighborhood and your Spidey Senses indicate that some Bad Stuff is going down, and you barely have enough time to get there and save the day. The citizens of New York are usually grateful, and you often have the chance for a photo op with an adoring fan, or the chance to stop and give a passerby a high five. It all works to create a bigger picture of community within the game, and it makes the otherwise wonderful Arkham Batman games feel empty and desolate in contrast. Spidey isn’t the only one risking life and limb to save the city, whether he likes it or not (he doesn’t). Against his initial protestations, Mary Jane, now a reporter with the Daily Bugle, is putting her neck on the line to track down the mysterious organization threatening New York in Fisk’s absence, and Insomniac dedicates several missions to her, as you slink through museums and warehouses and other dangerous locales with nothing but your wits and a few of Peter’s homebrewed gadgets. It’s an interesting concept, and one that largely works in grounding the experience a bit, slowing things down and giving the story some time to breathe. Unfortunately, while the missions work on a narrative level, they fall flat on their face from a gameplay perspective, as they all run the same tedious track of forcing you to navigate transparently arbitrary labyrinths to avoid dim-witted AI by pushing over boxes or turning on radios to distract them. At first this isn’t a problem, but as the game goes on Mary Jane’s levels grow increasingly lengthy and tedious; for as often as you are forced to play as MJ, Insomniac really needed to find more interesting or varied mechanics to employ. Overall, MJ’s time in the spotlight is relatively (and thankfully) brief, but it’s a notable blemish on an otherwise near-flawless experience. I hope they find more fulfilling ways to incorporate her character into the inevitable sequel, given how great a character she is, but she feels wasted in this installment. LOOK OUT, HERE COMES THE SPIDER-MAN! One of the things I’ve always loved about Spider-Man as a comic book character is that Peter is a working class hero. He doesn’t have infinite money like Batman, he’s not the God of Thunder and Mullets, and he’s not a technological wizard and celebrity like Tony Stark. He’s just a kid who wants to make his neighborhood a better place, and that’s something that truly shines through in this game. There’s a lot of heart, a lot of innovation, and a clear feeling that this game wasn’t just created by a talented group of developers, but by people who are truly passionate about Spider-Man.